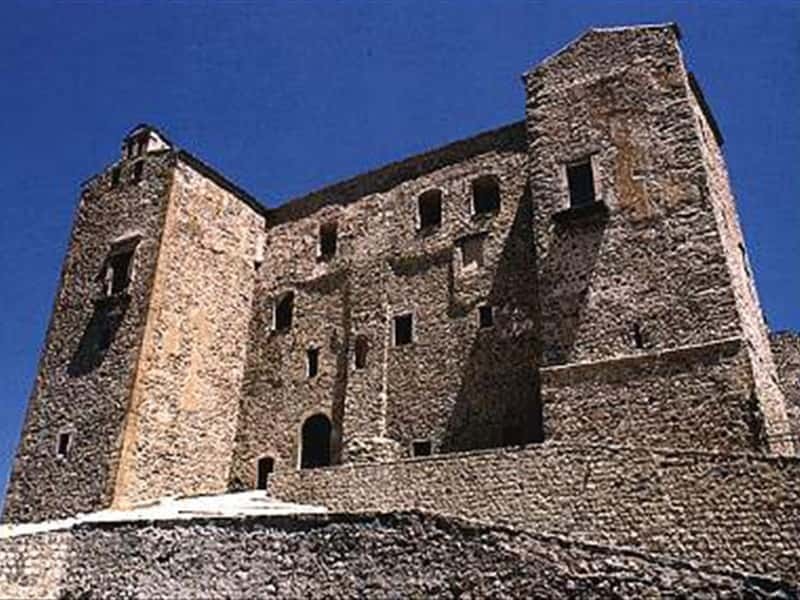 Castelbuono, set in the Madonie Park, developed in the XIV century around a castle with a regular plan and two quadrangular towers built by the Ventimiglia family. The Palatine chapel is set on the second floor of the castle, decorated with valuable stuccoworks picked out from a gold-leaf beackground. The Church of Santa Maria Assunta dates back to the XIV century. It was probably built on a pagan temple, with a portico added in the XVI century and a portal in Catalan style. The interior of the church originally divided into three naves, was enlarged to four at the end of the 15th century. It preserves prized works, most remarkably, above the main altar, a splendid polyptych depicting The Coronation of the Virgin attributed to Pietro Ruzzolone or possibly Antonello de Saliba and a statue of Madonna delle Grazie by Gagini. The Church of San Francesco with the adjoined Ventimiglia's mausoleo, the Francesco Minà-Palumbo Museum, housed in the former Convent, and the Fountain of Venere Ciprea along corso Umberto I worth a visit. This town web page has been visited 20,228 times.